Bovada is an online casino designed especially for American players. 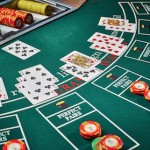 Most well known as an online sports betting site, the Bovada.lv casino offers an impressive selection of US-friendly casino games, including a good range of real money blackjack variants. Read on to learn more about the blackjack games available at Bovada, the USD deposit options, new player welcome bonuses and more. Does Bovada accept players from USA? American blackjack fans will be happy to know that Bovada.lv is one of the rare few online casinos that cater to players from the USA. This casino site is made specifically for Americans, with US-friendly deposit options and all payments processed using US dollars (USD). New blackjack players at Bovada Casino can take advantage of two different welcome bonuses when signing up for an account depending on the deposit option chosen. A $3,000 welcome package is available when depositing via credit card, while $5,000 in bonus money is up for grabs if you use Bitcoin to fund your account. To claim the standard welcome bonus, sign up here and enter the promo code ‘NEWWELCOME’ when depositing to get a 100% match up to $1000 on your first three deposits. To claim the Bitcoin bonus, sign up here and then enter promo code ‘BVCBITCOIN150’ when depositing to get a 150% matched deposit up to $1500 on your first three deposits. Bovada offers a Refer-A-Friend promo, so if you have a buddy who’s also into online blackjack you can get them to sign up using a link you provide to receive a bonus of 200% of the size of their deposit. There’s also a loyalty rewards program available where you will earn points for every real money bet you place at the site which can later be redeemed for cash-back bonuses. Every $1 bet wagered on blackjack at Bovada will earn you one point. 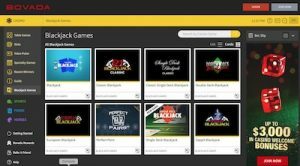 If you’re looking for quick, no fuss-access to a range of real money blackjack games, Bovada.lv has you covered with an instant-play platform where no downloads are required. It’s a multi-provider casino site offering games from software providers like RealTime Gaming, Rival Gaming and Bodog’s proprietary software. 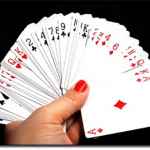 What blackjack games are available at Bovada? While this blackjack selection isn’t as big as some of our other top-rated blackjack sites, this is a good range of games for American players with plenty of variety to keep things interesting. If you’re not familiar with any of these titles, just hover over the game icon and click ‘Learn More’ for a full rule guide with details on how to play. This is a nice touch not always offered by online casino vendors, which this earns Bovada a few extra points in our opinion. One major downside of Bovada is that it doesn’t offer live dealer casino games, which have become highly sought after by online players. American punters looking for somewhere to play real money online blackjack against a live dealer should try BetOnline.ag, a casino site that accepts USA players and offers several live dealer blackjack tables. All games at Bovada.lv can be sampled for free in practice mode, so if you want to venture away from blackjack and try something new you can do so without risking any of your own money. You can also go to Bovada’s ‘Guide’ section which has a nice, informative overview of how to play different casino games. Visa pre-paid gift cards are also accepted, as long as the card was authorised to allow international transactions at the time it was purchased. Be aware that Bovada charges a 5.9% processing fee on all credit card transactions, which is something our recommended online casino sites don’t usually impose. Withdrawals at Bovada are just as limited, with cash-outs only available using Cheque by Courier or Bitcoin. In addition to having limited options, players are limited to one free withdrawal per 90 days. Any extra withdrawal requests in that time frame will be hit with a dodgy $100 processing fee. For USA blackjack players where the choices are often limited to dodgy operations or sub-par casino platforms, Bovada.lv presents a pretty good choice for online blackjack. There are a few disappointments, like the fact that there’s no live dealer games, that processing fees are attached to credit card deposits and that there’s a $100 fee on withdrawals, but other than that Bovada is well worth a try. The bonus offers are hefty, the blackjack selection is decent and there’s plenty of other games to try your luck on.